Lift operators have reached an agreement! The 4 Vallées lift pass is available for the 2014/15 ski season! Verbier 4 Vallées offers you an access to a big ski area (the largest in Switzerland). Vebier is connected to Nendaz, Veysonnaz and Thyon. Verbier 4 Vallées also give you an unlimited access on Bruson and Savoleyres ski area. Click here to visit the Verbier Booking page for lift pass prices. 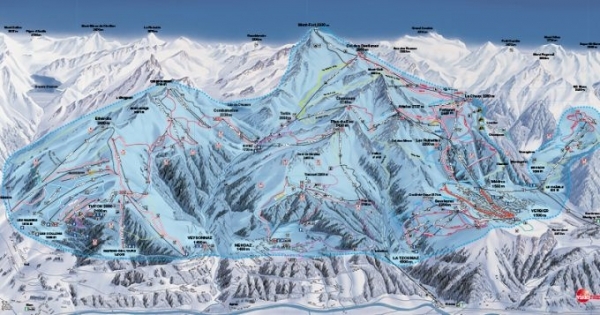 The operators of the 4-Vallées area, whose lifts link five resorts in the canton of Valais, Verbier, La Tzoumaz, Nendaz, Veysonnaz and Thyon with 82 lifts and 412 kilometres of slopes, have not been able to agree on cooperation for next season. The deadlock means that next season skiers and snow boarders will not be able to use lifts from some areas to another on the same lift pass. The four lift operating companies, had cooperated under a joint agreement since 2006. Verbier has unveiled its “Verbier Grand Ski” area, linking the Mont-Fort, Médran Savoleyres and Bruson areas. Jean-Pierre Morand, chairman of TéléVerbier, has been quoted by Le Nouvelliste as saying he was “disheartened by this situation but we no longer have the choice”. Téléverbier has said it will work to re-establish the 4-Vallées ticket before the start of the winter season but for the moment we are being informed that the one-ticket, five resorts offer will no longer be available. Watching the skill of the Verbier helicopter pilot pouring the concrete into the foundations of the new Bruson Gondola ski lift system was a very exciting to say the least. These guys are incredibly skilled pilots. 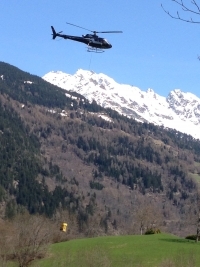 Just as well given they are they same pilots that we use for the heli-skiing in the winter ! !